A Home With A View... privacy and resort inspired setting. Choose your favorite cabana to relax under and listen to the flow of a tranquil fountain/water feature. View the hilltops from all of the kitchen, dining, family room and En-Suite bedroom. Volume ceilings, spacious rooms, upgraded window and floor coverings appointed throughout the home. Custom fireplace fascia in the family room compliments the adjacent kitchen cabinetry, which also features stainless steel pro cooking appliances, 5 burner range with premium vent hood, and stone counter tops. Key Energy efficient upgrades have been made to this home which include recently installed Owner Solar, Dual Pane Windows throughout, a Whole House Fan, and Solar Skylight at the stair landing. The back yard upgrades and features are endless: Vinyl pergola with light filter, metal roof shade cabana, fabric roof cabana, and entertainment dining cooking area with wet-bar. 220 Electric is available for a spa upgrade. Large RV access has hook-ups, The 3 car garage has a diving wall to the 3rd car bay with a fully finished flex room. This home is also comfortably adjacent to the Canyon Country Park. 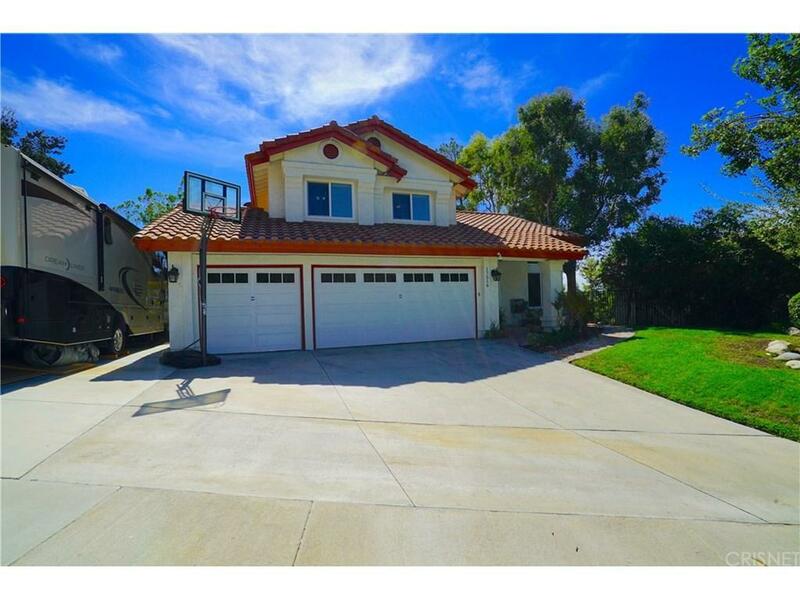 Don't miss the opportunity to make this wonderfully unique Santa Clarita Valley property your next home! Sold by Manya Prybyla BRE#01023005 of Kellar-Davis, Inc..
Exclusions Ring Security System And Additional Cameras On Property. 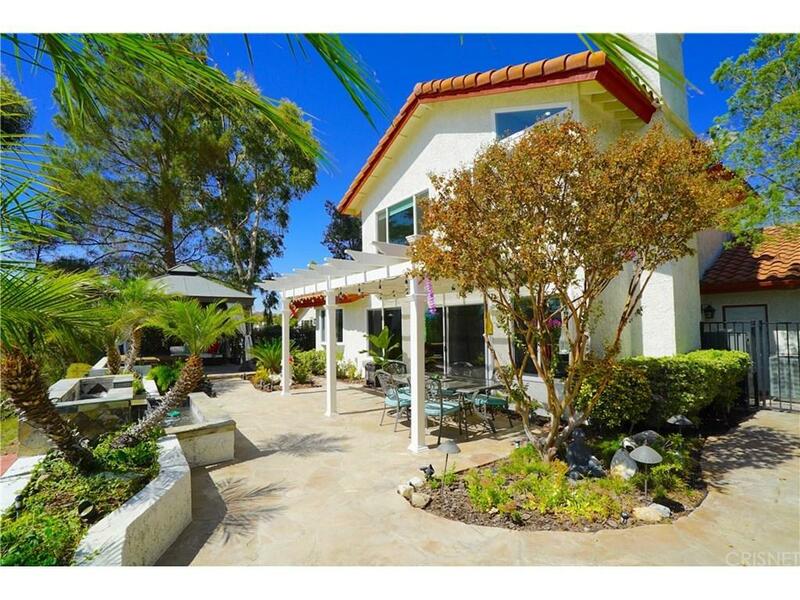 Listing provided courtesy of Jimmy Smith DRE#01023005 of Realty Executives.